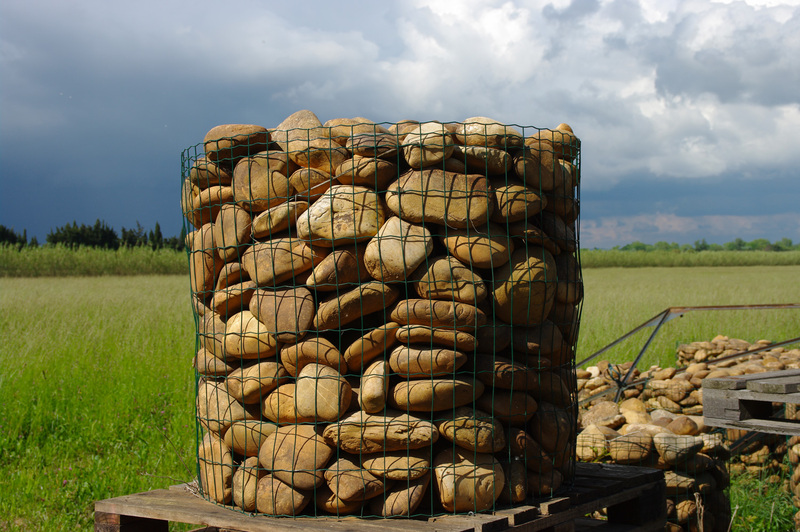 Some of our land contains a large number of big round stones. These have long been used as a primary material in traditional construction methods and are nowadays used as decoration on outer and inner walls, for making paved pathways, or for adding charm to your garden. Colour : Dark yellow-black ochre owing to the presence of iron oxide in the ground. Packaging : Large wire containers placed on pallets of 1 tonne. Price : between 140 and 160 euros per tonne.